Modern Baseball are releasing their much anticipated third album Holy Ghost next week on May 13 via Run For Cover. They premiered their new song “Wedding Singer” in a live session for Rolling Stone Australia, which you can check out below. Today they shared its video, which portrays a man having panic attacks after the death of his grandmother and how a manic pixie dream girl-esque figure helps him find purpose in his life. It was directed and edited by Kyle Thrash, whose name you might recognize from the title of “Thrash Particle” from the MOBO Presents: The Perfect Cast featuring Modern Baseball. Watch it below. 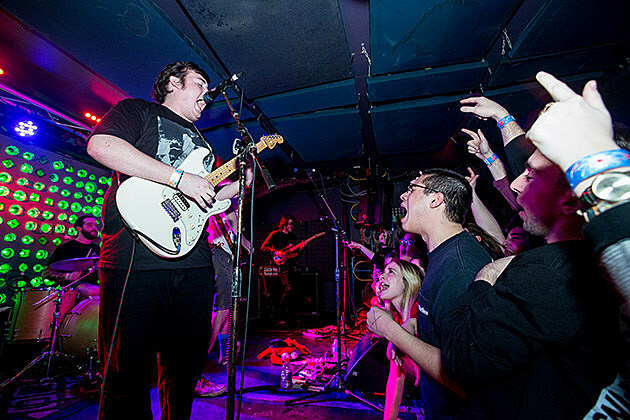 Co-frontman Brendan Lukens also has another other band Broken Beak, which started out as fellow Philly artist (who created the artwork for MoBo’s “Thrash Particle” single) Beau Brynes’ musical solo project. Brendan plays guitar in it and Jake produced their upcoming debut album. The LP is called Some Nerve and it comes out July 1 via Near Mint Records. Listen to the first single “Saint” below. As mentioned, MoBo are heading on a solid triple-billed tour with Joyce Manor and Thin Lips in support of their new LP, that stops by NYC for two shows at Irving Plaza on June 24 and 25 (tickets). Before that, they’ll play a NYC-area record release show at Asbury Park’s Wonder Bar on May 13 with Pinegrove, Sorority Noise and more (sold out). All dates are listed below.